Moving is always exciting and can be a lot of fun, but packing is one of the worst parts. You have to put your entire life into tons of cardboard boxes and transport them to your new location, not to mention furniture. Then there’s everything else to consider, like officially changing your address and setting up utilities. It’s time-consuming to move, and it can be very stressful. But it doesn’t have to be. Here are the top tips for accomplishing a stress-free move. This might seem obvious to those of you who are super organized, but lots of people try to get everything done off pure memory. If you don’t make a list of things you need to do, you’re bound to forget something. Write a master list of every task that needs to get accomplished, and separate the list into things that need to be done as soon as possible, immediately before move-in day, immediately after move-in day, and eventually. Checking things off as they’re done feels great, too. Packing always takes longer than you think it will, so start as soon as you can. There are always things you want to bring with you but don’t use on a daily basis. Make it a point to pack a couple boxes per night of those types of things, such as Christmas decorations or clothes you only wear on extra special occasions. As you’re packing, do not pack anything that you don’t need or want. 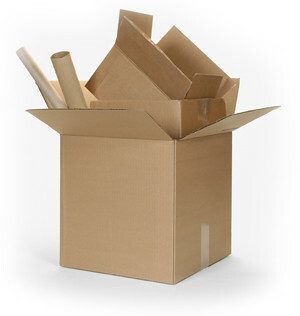 Now is the best time to pare down your items and get rid of things, not when you’re unpacking. Moving can be expensive, so you might consider cutting costs by doing the heavy lifting yourself. Don’t go to all the trouble. You already have enough things to worry about, so hire professional movers who will be able to get your move done quickly and efficiently. This will be pain-free for you, and you can focus more on organizing and other tasks that only you can do. Put the things you’ll need the most right away, like your toothbrush, in separate boxes. Don’t try to remember where your necessities are if they’re spread out because you’ll inevitably forget. You don’t want to waste any time tearing open every box looking for your coffee maker in the morning. Also, separate your valuables and important papers. And as much as you need hired movers for most things, consider transporting those on your own to be safe. Decorating your house can be very fun, and it’s how you make your house a home. However, it’s not essential to worry about in the beginning. Try not to spend too much time thinking about what you’ll hang on the walls. Decide on your furniture layout, but worry about all other decorating dead last. After everything’s unpacked and the important things are taken care of, then you can relax and choose your accents at your leisure. Alexandra Kelly is a devoted mother and school teacher with a passion for writing. She is also passionate about proper grammar and often encourages her students and children to proof their work with a grammar checker. She is currently grading an enormous stack of Hamlet essays while downing a glass of red wine.